Rich media content has become king. And as quality imagery and video pick up marketing speed and influence, Instagram’s stepped in as an essential tool for visual branding and communication. With Instagram’s 90 million active monthly users, it shows… But what Instagram lacks in tracking lead conversion, optimization, community and engagement tools and analytics, Statigram makes up for. Haven’t heard of Statigram? If your brand is looking to build a scalable and effective Instagram strategy, you may just want to introduce Statigram to your boss. Statigram works with your Instagram account to help you cultivate a social-rich media strategy, effectively interact with your community and track metrics around your photos. 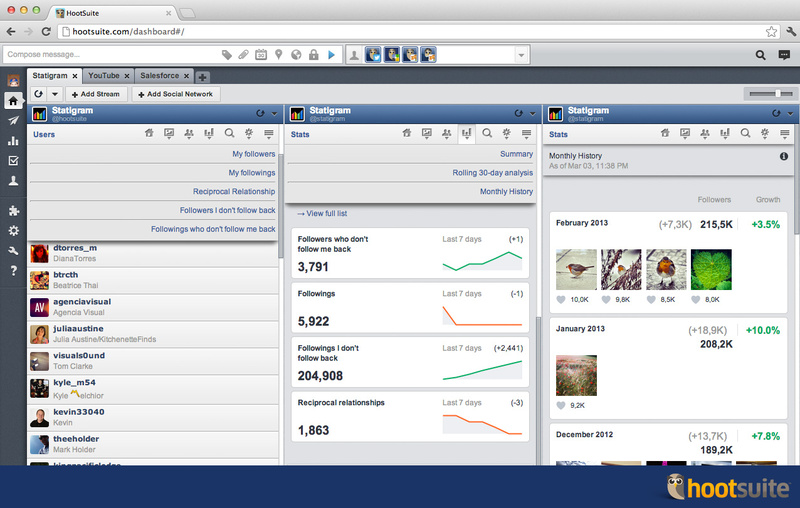 Promote your Instagram account across other social networks with feed tabs or photo widgets. Manage your community and their comments on a user-friendly platform. Analyse your activity through professional statistics. Engage your community with photo contests: Setup, promote, moderate, monitor and publish results of an Instagram contest all within Statigram. 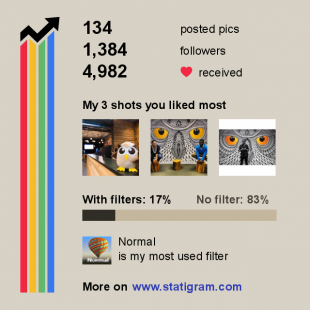 In short, Statigram helps you communicate through Instagram photos better. Assuming that you’ve already added the Instagram App to your dashboard, you can do the same with our Statigram App and become the ultimate Insta-power user. Here’s our story: Earlier this year, our content marketing team decided to amp-up HootSuite’s Instagram strategy. And, although Statigram didn’t help us build our strategy per-se, it certainly keeps us on top of our goals and Insta-analytics. Using Statigram natively, viewing your Instagram photos, feed and likes is a basic feature. But it’s the stats that interest us. What better way to build and adapt a strategy than with cold hard analytics? Last 7 Days: How many followers you’ve gained and lost this week. Rolling Month Analysis: Content, engagement and follower stats for the month. Content: Post history and distribution, broken down by year, month, day of the week and even time of day. Engagement: Growth history of likes and comments received. Optimization: Best time to post and average lifespan of each Instagram image. Community: View follower growth, reciprocated relationships and top followers. Add Statigram to your HootSuite dashboard for quick access to all of your Instagram stats. Click to zoom in. 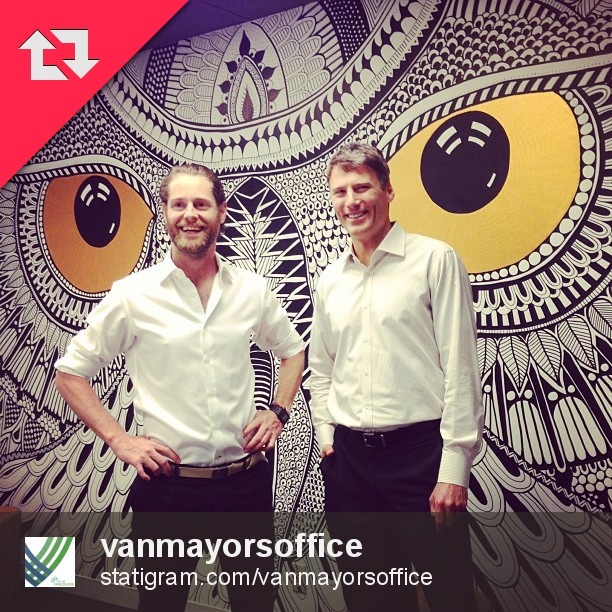 Did you know you can use Statigram in HootSuite? Well you can, and it’s a real timesaver. With our integrated Statigram App, you can easily add multiple streams to monitor your brand as well as personal accounts – all in one tab. View your Home feed and feeds for Your Photos, Your Likes, and the Popular feed from Instagram in one stream. Stream and monitor your Instagram community, including your followers and those you follow. Analyze your Instagram photos and community growth with summary statistics, rolling 30-day trends, and monthly history. Gain insights into and manage relationships you have with your Instagram community. Search for photos by hashtag or username (for example we follow #HootSuite). 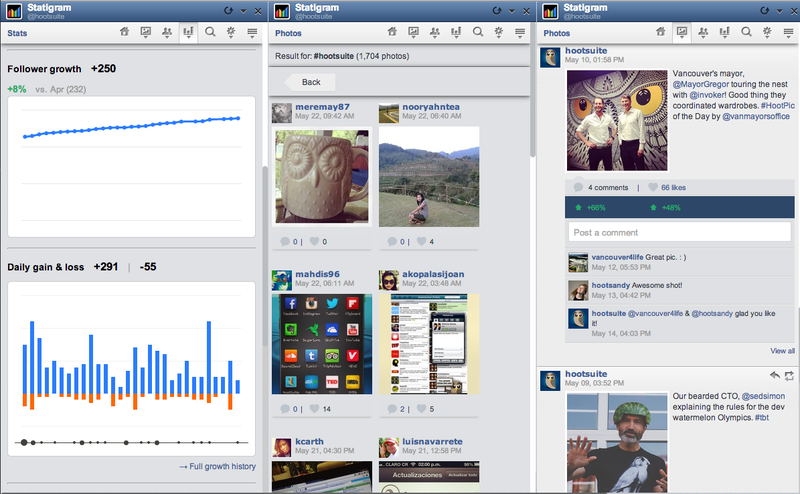 Rinse and repeat by adding multiple Instagram accounts to different tabs or streams. We’ve set up a stream to watch our own Insta-engagement and follower growth, a search stream to follow #HootSuite to thank users for thinking of us or to repost images and a home stream or our photos to interact with IGers we love. Click to zoom. See a pic you like? Within the dashboard, comment on, like or even share the image right from the stream to any other social network. Anyone who uses Instagram should be on Statigram… Whether you’re an aspiring photographer who wants to see which pics resonate best with your following, or a business of any size looking to monitor social photo campaigns and initiatives. Or if you just love quick stats and colorful charts that show – hopefully – up and to the right graphs. Follow different usernames or hashtags, like #hootsuite, and discover a world of images associated with your brand – and ripe for the re-sharing. With Statigram, the original Instagrammer’s username is attached and properly credited in the photograph. Let the sharing begin! 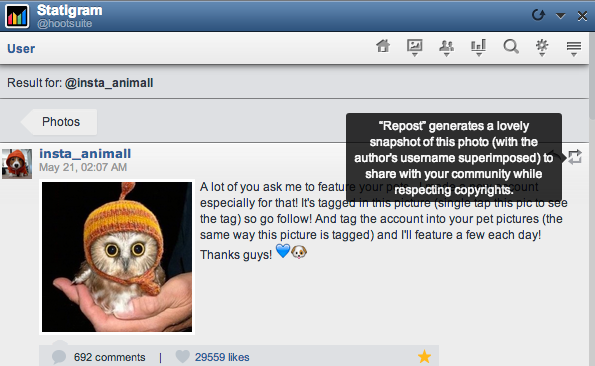 Reposting Instagram images associated with your brand is possible with Statigram in HootSuite. Search usernames or hashtags to find the perfect image. Once you do, click on the image you would like to share. The stream will refresh with just the image in it. Click the repost button in the top right corner. A pop-up image will appear with image credit. From there, either download or email the image to share on your Instagram or any other social network. Voila! Sharing made easy with Statigram. The HootSuite Statigram App is designed for Instagram power users, brand marketers and businesses who have invested themselves in building a community and brand presence in Instagram. 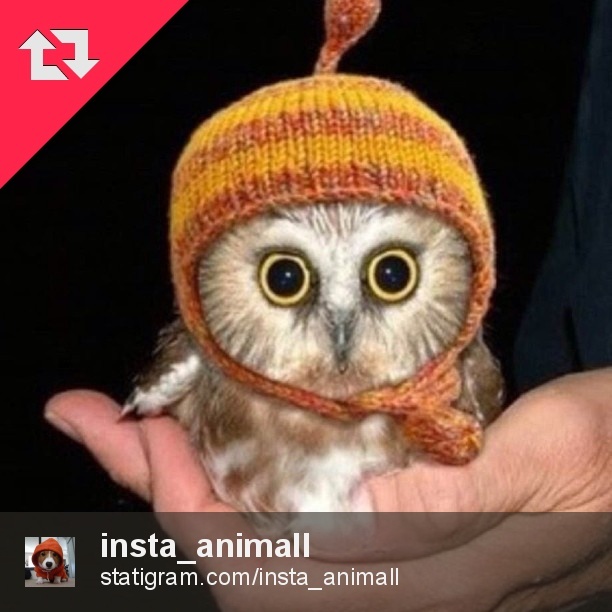 Try the Statigram app free for the first 48 hours ($4.99/mo) in the HootSuite App Directory. Visit our App Directory to see what other apps we have, including YouTube, Tumblr, WordPress, Instagram and so many more.